What to do when someone gives you a 3 lb zucchini. 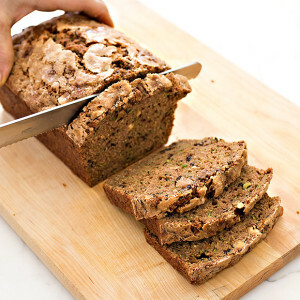 Make this delicious light and moist zucchini bread which uses 1½ lbs of zucchini per loaf. Adjust oven rack to middle position and heat oven to 325 degrees. 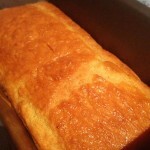 Grease 8½ by loaf pan. Place zucchini in center of dish towel. Gather ends together and twist tightly to drain as much liquid as possible, discarding liquid (you should have ½ to ⅔ cup liquid). Whisk brown sugar, oil, eggs, and vanilla together in medium bowl. Fold in zucchini. Use the large holes of a box grater to shred the zucchini. The test kitchen’s preferred loaf pan measures 8½ by ; if you use a 9 by loaf pan, start checking for doneness 5 minutes early. 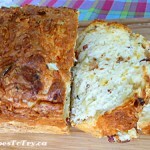 Baked goods are a great way to use up zucchini. 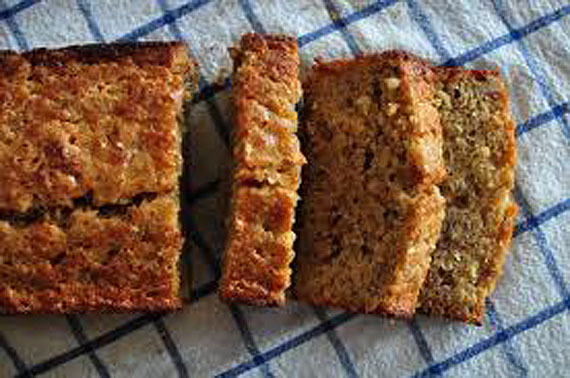 Because of its high moisture content, zucchini produces a moist cake. However, if not used correctly, zucchini can leave baked goods extremely wet and gummy. By removing a majority of the juice from the zucchini, along with most other sources of moisture, and lowering the fat, the zucchini content was increased from to without sacrificing a properly moist and tender crumb. 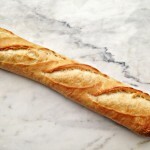 You’ll recognize a good baguette by its signature deep-golden crust, and it’s chewy, soft interior. For all its perfection when it comes to texture, it does have one major flaw: it’s really only at its best if enjoyed on the day it’s made and purchased. If you’re lucky — and not a purist! — You may get another half day out of it, but that’s really the most you’ll ever get out of a fresh baguette. To freeze your baguette, cut it in half crosswise and tightly wrap in aluminum foil.The fresher the baguette the better the results so if you can score a warm-from-the-oven baguette from the store, do so! To thaw, preheat your oven to 450F. 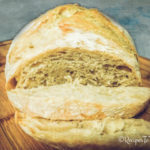 Once its reached that temperature, turn your oven off, and bake the unwrapped bread in the oven until it is thawed, which takes about 12 minutes (depending on the size of your bread). Whisk together water and yeast in a large bowl; let sit until yeast is foamy, about 10 minutes. Add flour, and stir with a fork until dough forms and all flour is absorbed; let dough sit to allow flour to hydrate, about 20 minutes. 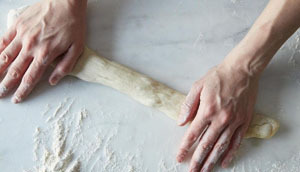 Add salt, then transfer dough to a lightly floured work surface, and knead until smooth and elastic, about 10 minutes. Transfer dough ball to a lightly greased bowl, cover bowl with plastic wrap, and place bowl in a cold oven or microwave. Let dough rest until doubled in size, about 45 minutes. Remove bowl with dough from oven, and place a cast–iron skillet on the bottom rack of oven; position another rack above skillet, and place a baking stone or upside down or rimless sheet pan on it. Uncover; remove towels, and flatten paper to space out loaves. 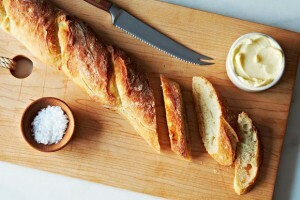 Using a sharp razor, knife, bread lame, or scissors, slash the top of each baguette at a 30–degree angle in four spots; each slash should be about 4 inches long. 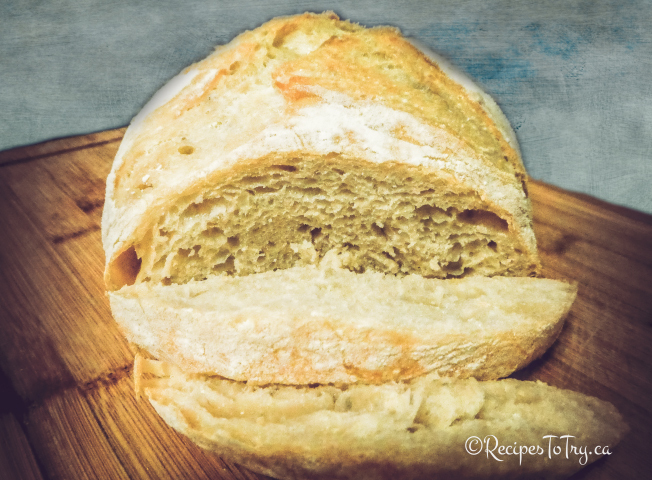 Pull out the oven rack with the stone or baking sheet on it and, using the corner of the parchment paper as a guide, slide the loaves, still on the parchment paper, onto the baking stone or pan. Place ice cubes in skillet (this produces steam that lets the loaves rise fully before a crust forms). 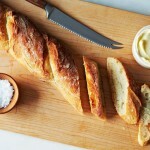 Bake the baguettes until darkly browned and crisp, 20 to 30 minutes; cool before serving. 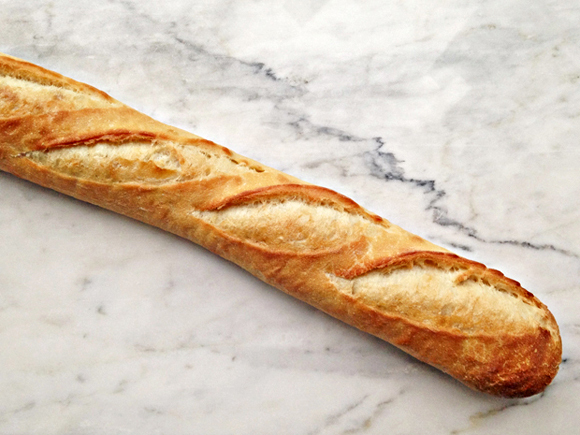 You can make a really good baguette -- in 4 hours, from nothing. It will have a resilient, toffee-colored crust and a honeycombed middle that huffs hot, yeasty air when you tear into it. 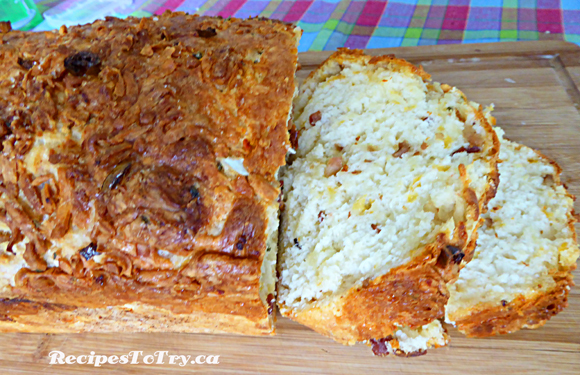 The smell of it baking will simultaneously make you feel hungry, safe, and accomplished. It will taste like home and like Paris. 1) Stir together yeast and warm water. 10 minutes later, stir in flour. 2) Let that hang out for 20 minutes to hydrate.Now add salt and knead for about 10 minutes, till it's smooth and springy. 3)Plop it in a greased bowl, seal it with plastic, and park it in a cold oven (or microwave) for about 45 minutes. Its girth will double. 4) Fold it like a T-shirt, then put it back. Within an hour, it will double again. 5) Now roll it into three baguette-like tubes. 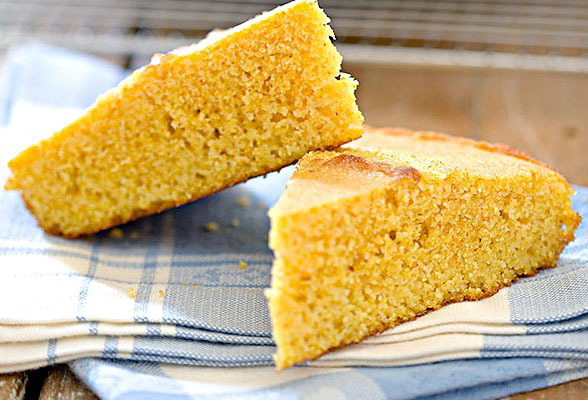 Unlike sweet and cakey Northern versions that are better suited to the dessert table, Southern cornbread recipes contain neither sugar nor flour, making them savory enough to join the main course. Adjust oven racks to lower-middle and middle positions and heat oven to 450 degrees. Heat oven safe skillet on middle rack for 10 minutes. 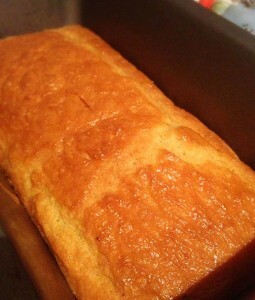 Bake cornmeal on rimmed baking sheet set on lower-middle rack until fragrant and color begins to deepen, about 5 minutes. Transfer hot cornmeal to large bowl and whisk in buttermilk; set aside. Add oil to hot skillet and continue to bake until oil is just smoking, about 5 minutes. Remove skillet from oven and add butter, carefully swirling pan until butter is melted. Pour all but 1 tablespoon oil mixture into cornmeal mixture, leaving remaining fat in pan. Whisk baking powder, baking soda, salt, and eggs into cornmeal mixture. Pour cornmeal mixture into hot skillet and bake until top begins to crack and sides are golden brown, 12 to 16 minutes. Let cool in pan 5 minutes, then turn out onto wire rack. Serve. While any oven safe skillet will work here, our first choice (for both tradition and function) is a cast-iron skillet. 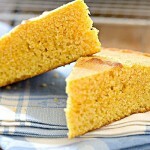 Avoid coarsely ground cornmeal, as it will make the corn bread gritty. Mix and sift dry ingredients. Add the liquid. Stir only enough to mix. 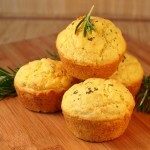 Bake in muffin pans 400° F for 20 minutes. 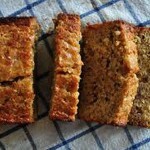 This Banana Bread is so moist it doesn't even need butter. Set oven at 350° F. Grease and flour a Bundt pan or two 8” x 4” x 3” loaf pans. Beat sugar and eggs until creamy. Mix in oil. Sift Flour, Baking soda, salt, cinnamon, and allspice. Add to creamed mixture. Mix in Bananas and raisins. Pour into Bundt Pan and bake for 1 Hour or until done. (Test with a toothpick, it should come out dry.) Turn out of pan when cool. Use 2 fairly big bowls one to mix flour in and later mash bananas in. Don’t need to sift mixing in bowl works. Use electric mixer to mash bananas. Mix up eggs and sugar then oil. Pour mixed flour and spices into bowl with eggs mix together. Mash up banana’s in flour bowl and then add to eggs and flour mixture. Pans spray with Pam and shake blending flour shake to cover shake out excess.